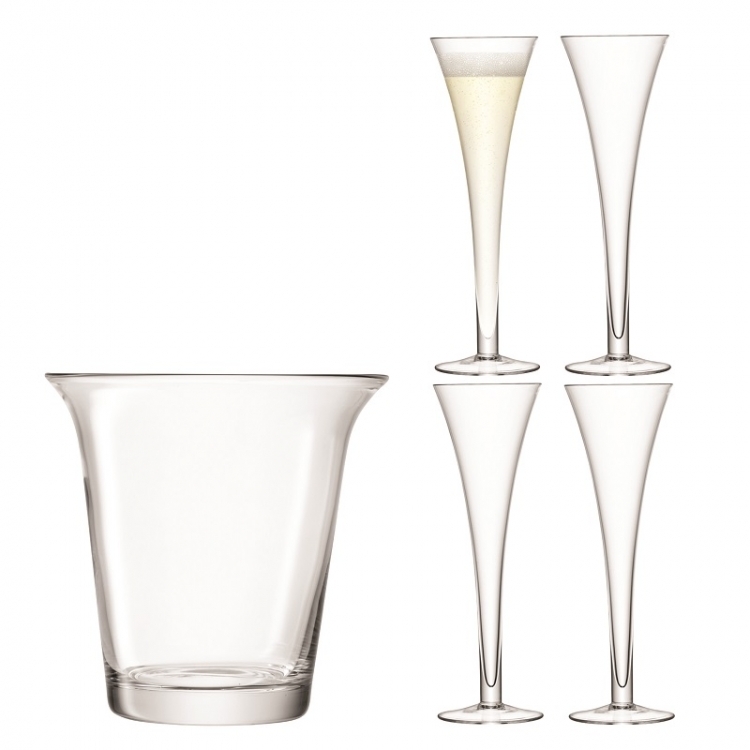 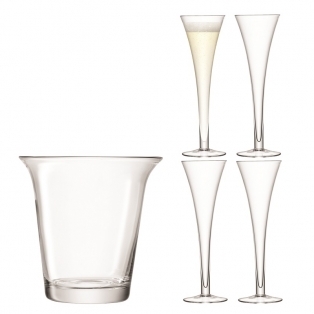 Celebrate in style with the Champagne set. 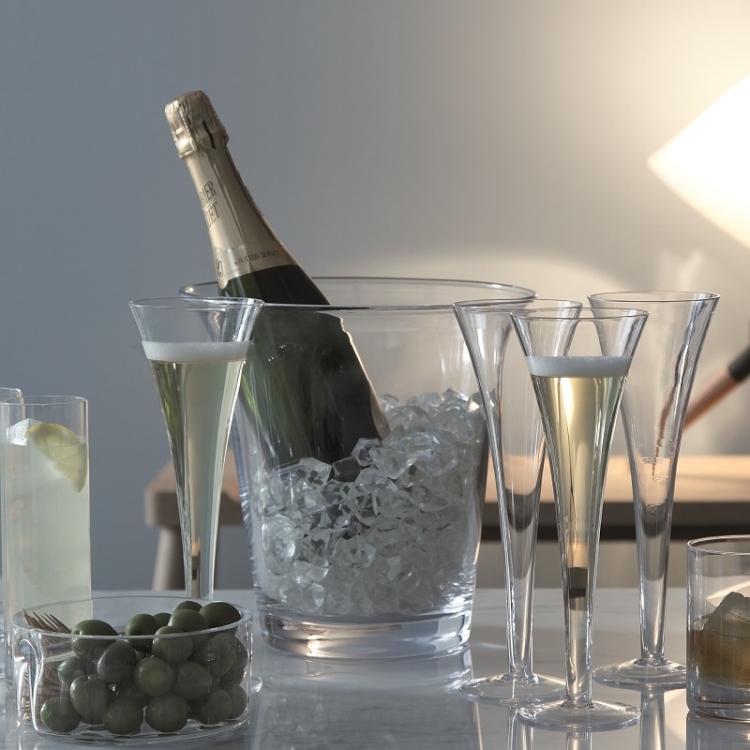 Enjoy watching champagne's trademark bubbles progress to the top of the mouthblown hollow stem flutes while the champagne chills on ice. 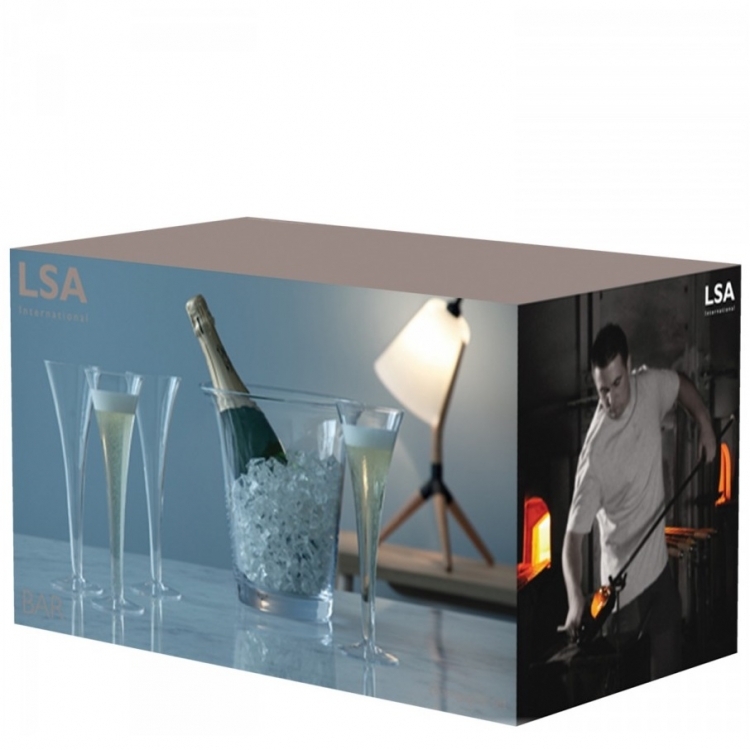 Gift-boxed for that special occasion.